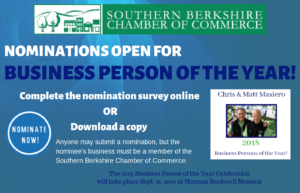 A region-wide organization focused on economic development and promotion of the Berkshires as a preferred place to visit, to live, and to grow a business. We provide a forum for the economic needs of those doing business in Stockbridge and its environs of Berkshire County. We represent these interests as a unified group within the business community.